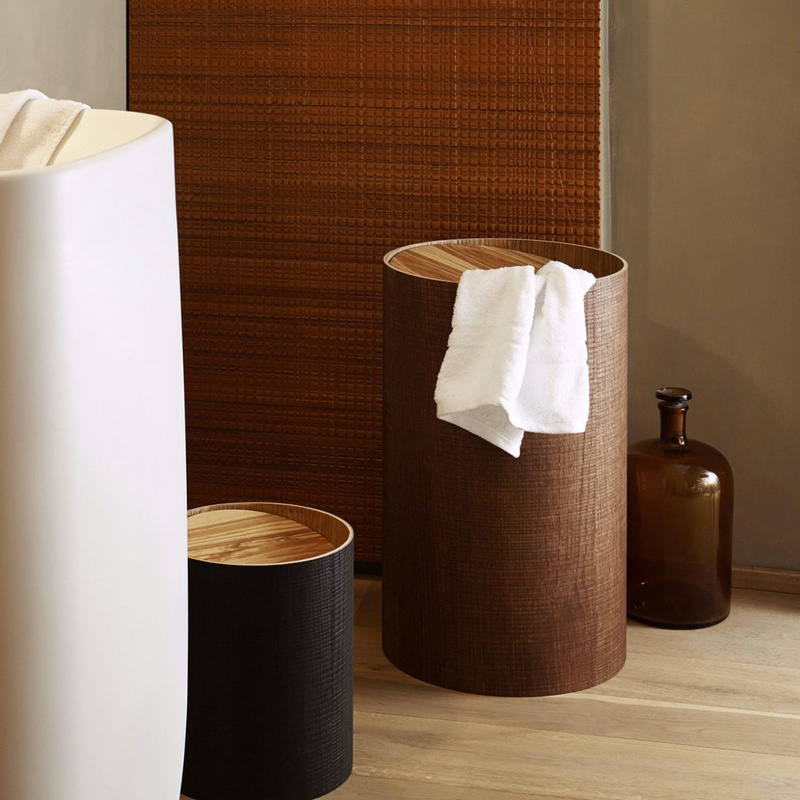 Riviera, the natural wood laundry basket that adds comfort and elegance to every bathroom. 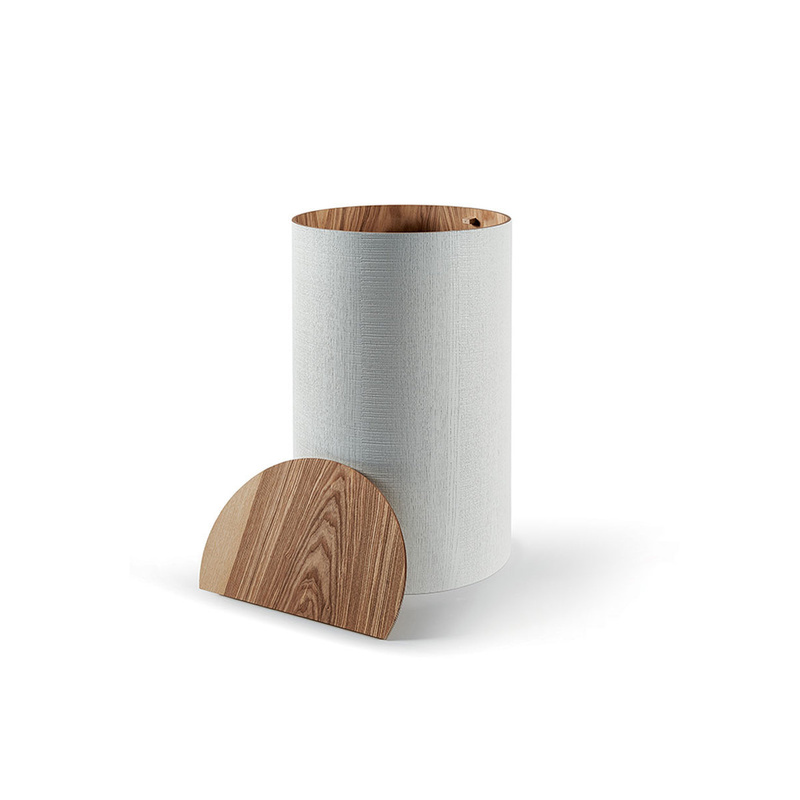 Essential and functional, the Riviera laundry basket by Atipico can offer up usefulness without sacrificing taste. With a modern, minimalist style, it features an essential and refined style that can be combined with any type of decor. Placed in the bathroom or laundry room, it stands as a useful complement and, at the same time, can complement the decor in an elegant and harmonious way. 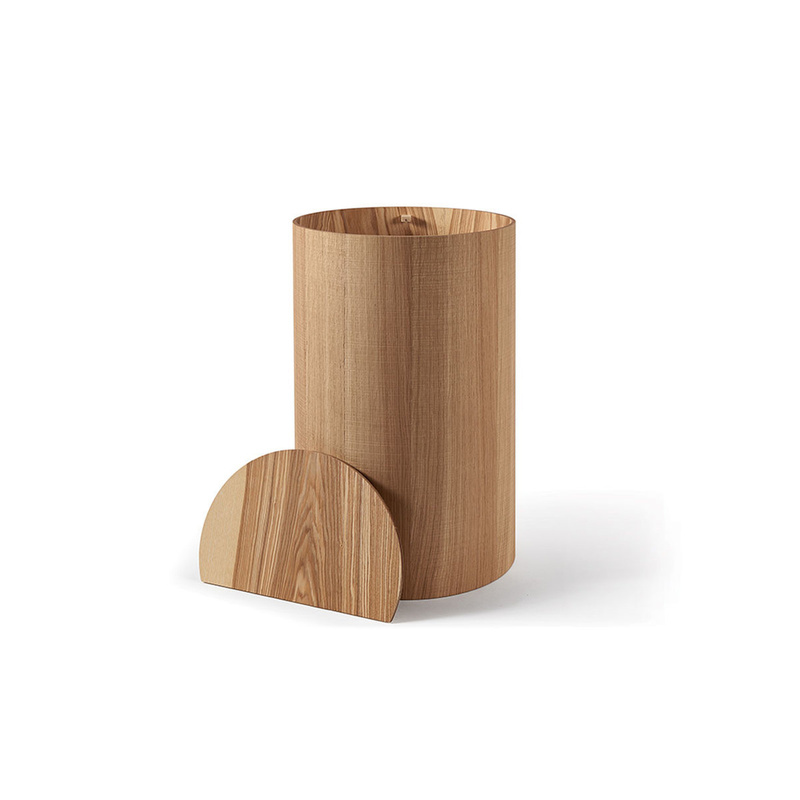 Its cylindrical shape and dimensions are designed to provide maximum capacity and minimum bulk, so that it can also easily fit into small surface areas. 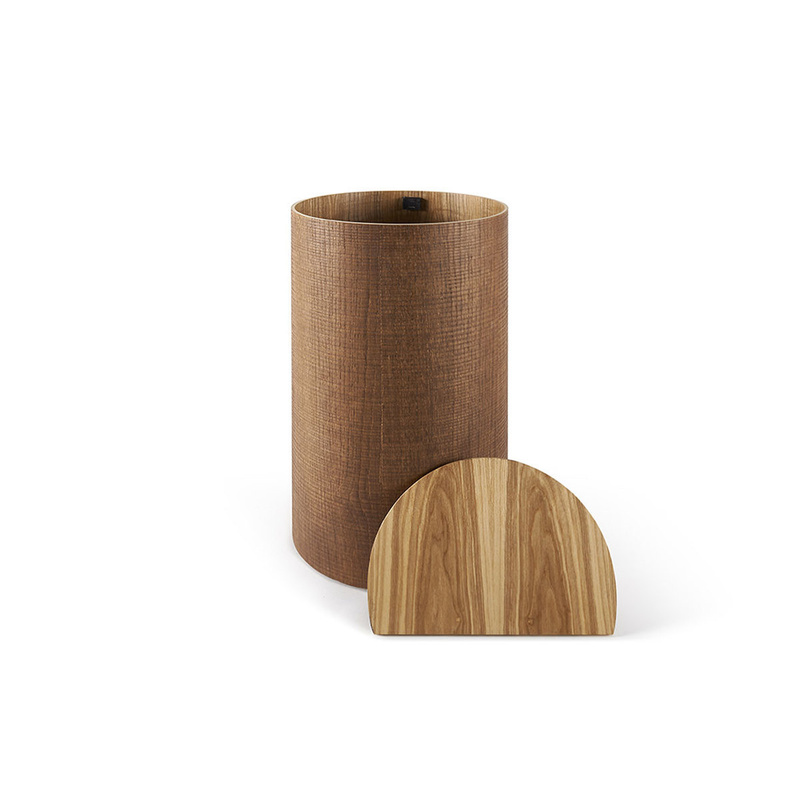 In addition, the rounded sides and warmth of its natural wood introduce a soft element to the environment. Two types of wood have been chosen for the Riviera laundry basket to ensure resistance even in humid and warm environments: the outside is constituted by a sturdy beech layer and is covered by a lacquer finish that is not only useful in enhancing the beauty of the basket, but also protects its surface; the interior is made with a layer of ash wood, which due to its semi-hard consistency, is particularly durable and flexible at the same time and is resistant to splits or cracks. The extreme practicality of Riviera is also due to its special lid: it closes the basket only partially, giving room for air to circulate and preventing the formation of bad odours or humidity inside, and it is also slightly tilted, so as to facilitate the insertion of the garments. 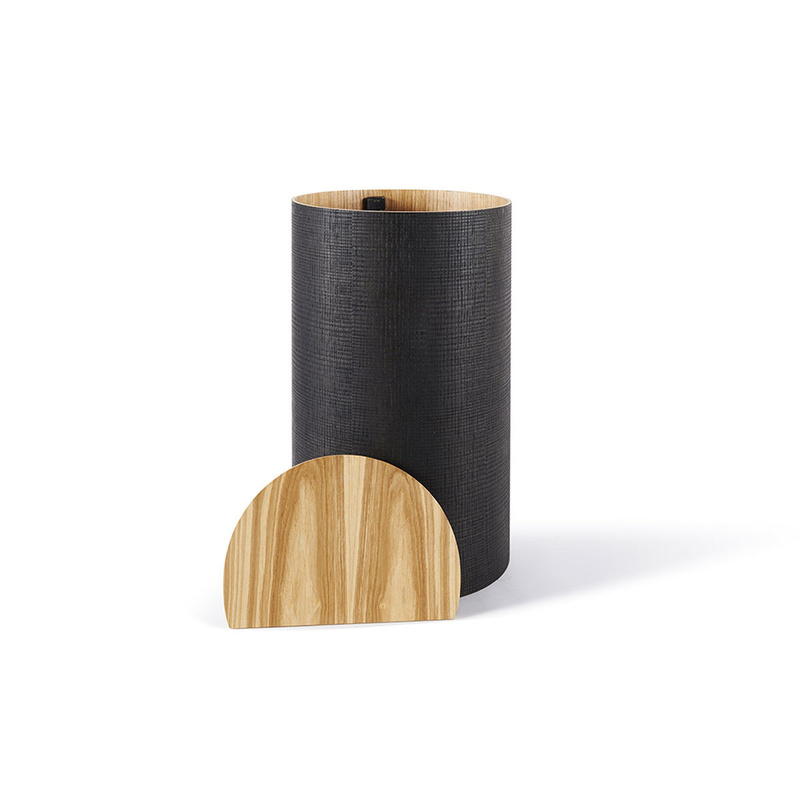 The cover features a natural wood finish that matches the colour of the inside of the laundry basket. The exterior is available in different colours, and is present here in the exclusive licorice hue that, understated and sophisticated, harmonises with light, dark or bright colours in the room. Thanks to its versatility, this element can additionally be used as a spacious storage space.